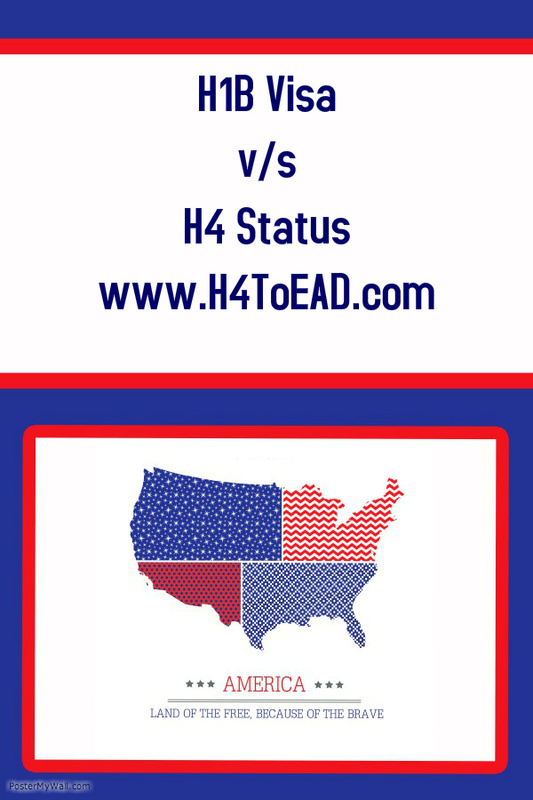 H4 Work Authorization, Work Permit or H4 EAD and H4 Visa Issues: Can I have an H1B and H4 statuses at the same time? Can I have an H1B and H4 statuses at the same time? The simple answer is no. You cannot have two statuses running at the same time. Although you might be able to obtain multiple H1Bs you cannot have two statuses running simultaneously. But you can actually have an H1B visa stamp and an H4 stamp simultaneously on your passport. In order to understand the concept you have to understand the concept of status (related to H1B and H4 in this article). The status is usually the I-94 card (now electronic) which is usually handed at the port of entry or in your change of status application. The stamp visa on the passport is what allows someone to board a plane or travel to a port of entry where a Custom Border Protection (CBP) officer will make a determination whether he or she will allow the visa holder to enter the United States. If the CBP officer allows this person to enter, the officer will grant a status to this person. At this point, the status controls. This means that although someone is allowed to lawfully enter the US and then the visa stamp expires, the I-94 status will usually control and this person can stay as long as the I-94 does not expire or is not revoked. For those who are on a valid status inside the United States such as a B1, F1 or even H1B and some other status, they might be allowed to change status. Because status is unique you usually cannot carry two statuses at the same time. 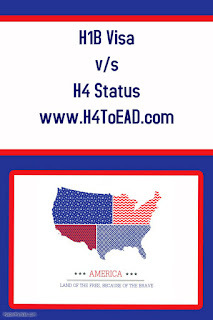 As such someone cannot be on an H1B status and an H4 status simultaneously. Note that status dies as soon as you leave the United States or is revoked. For example: Paul enters on an H1B visa or is on H1B status and now wants to change to H4 status. Paul has to file a change of status form I-539. After H4 status is approved, Paul wants to move back to H1B, he can actually do so as long as he is H1B cap-exempt. But there are few issues that Paul might want to check especially if the H4 status is pending, etc. This is outside the purview of this article and should you need help with this issue, please call us at (510) 742 5887. The concept of status can sometimes be very complicated because many do not really know what is controlling status - the I-94 at the airport, the 797 I-94 or the visa on the passport? Depending on your situation, it is worth analyzing which one controls your situation. Note that if you are unlawfully present and do not even know about it, you might be faced with many multiple problems including not be able to change status, filing for your greencard or obtaining any kind of immigration benefits. So make sure you are not confused about your status, you can call an experienced immigration lawyer to help.